Community health workers (CHWs) are increasingly important to healthcare delivery in many African countries. As CHW programs are being scaled up and integrated into national healthcare delivery systems an important policy question is how to deploy CHWs to various regions, given their differences in disease burden and population density as well as the limited national resources for the program. We develop a modeling framework which describes the Quality-Adjusted Life Year (QALY) impact of a CHW program as a function of a region's disease characteristics, operational environment, and CHW deployment density. Specifically, we use continuous logistical models to capture the travel time constraints of CHWs and a novel continuous time stochastic model to describe individual health progression. We quantify the impact of CHW deployment on public health for a special case and build a heuristic to solve a policy makers CHW deployment problem. Leveraging clinical findings, as well as an extensive dataset featuring time-stamps and GPS information for CHW visits in Ghana, we generate policy recommendations for a representative case. We find that in contrast with current guidelines of a constant ratio of 500 patients to CHW, the optimal deployment of the same total number of CHWs ranges from over 800 patients per CHW – in dense regions with limited disease burden – to under 300 patients per CHW – in rural areas with high disease burden. Our sensitivity analyses indicate that the regional differences in the optimal deployment ratio are more extreme in settings with less resources. In addition, we find that a constant patient-to-CHW deployment would result in highly inequitable health outcomes, as a result of regional heterogeneity in patient density and disease burden. In contrast, optimal CHW deployment results in geographically uninform average QALY outcomes, through prioritizing regions with high disease burden and allowing for longer travel times in regions with low patient densities. Jónas Oddur Jónasson is the Class of 1943 Career Development Professor and an Assistant Professor of Operations Management at the MIT Sloan School of Management. His primary research focus is on improving healthcare delivery in resource-limited settings. In particular, Jónas is interested in developing data-driven models describing the impact of operational implementation of healthcare delivery programs on individual disease progression and public health outcomes. In his research Jónas has collaborated with a number of healthcare delivery organizations, including the Earth Institute, the Clinton Health Access Initiative, Riders for Health, and the London Ambulance Service. Jónas’ research has been published in Operations Research. He was awarded the 2014 Bonder Scholarship for applied Operations Research in Health Services and received first prize in the 2014 INFORMS Manufacturing & Service Operations Management (MSOM) student paper competition for his work on early infant diagnosis of HIV in resource limited settings. Recently he was awarded a Grand Challenges Exploration grant from the Gates Foundation. 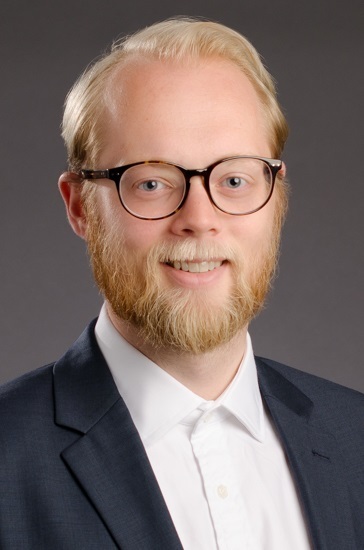 Prior to joining MIT, Jónas received his PhD in Management Science and Operations from London Business School, an MPhil from the University of Cambridge, an MSc from the London School of Economics and Political Science, and his BSc from the University of Iceland.